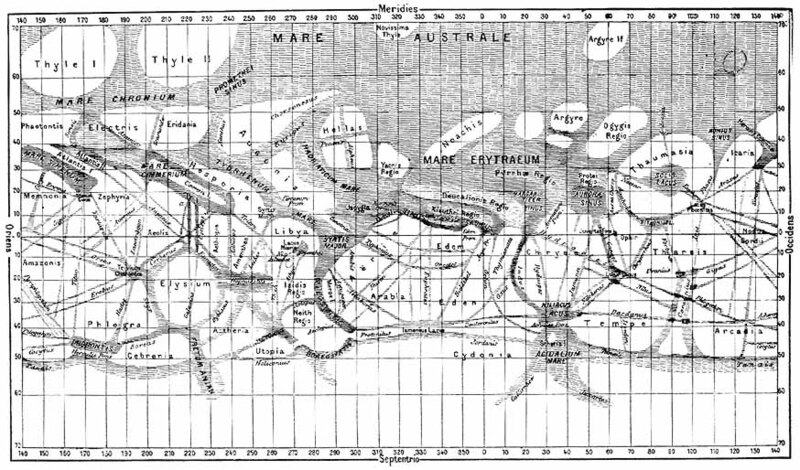 Giovanni Schiaparelli's map of Mars, compiled over the period 1877-1886, used names based on classical geography or were simply descriptive terms; for example, Mare australe (Southern Sea). Most of these place names are still in use today. Flammarion, La Planète Mars.